Estheramma's husband died in an accident in 2006, leaving her in financial distress. 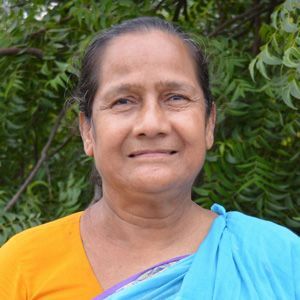 Estheramma has three daughters, who are all married. Estheramma struggles to support herself, and does not have enough money to properly feed herself. Your sponsorship will ensure that her daily needs are met and will bring her hope.